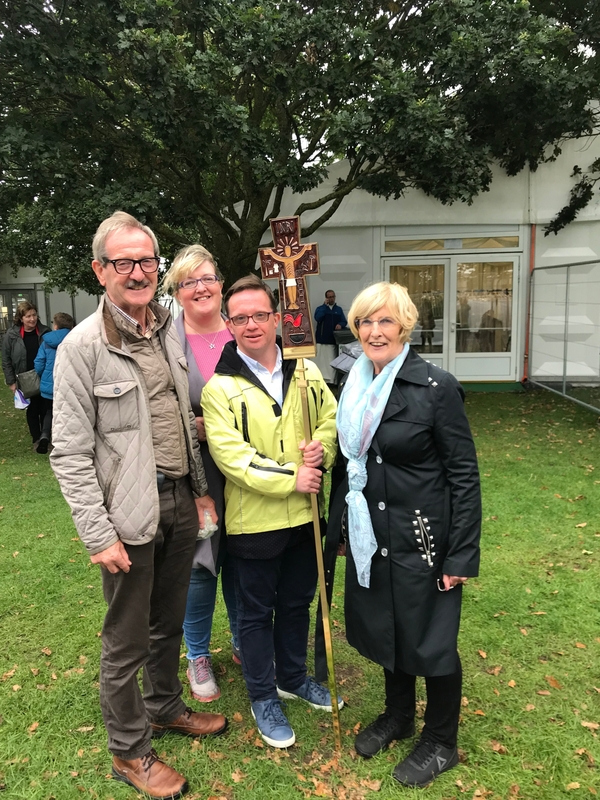 A Newbridge man played a key role at the mass celebrated by Pope Francis in the Phoenix Park last Sunday. Michael Gannon had the great honour of carrying the penal cross to lead the procession in the papal mass. “He was asked by Fr Damian McNiece one of the priests involved in organising the mass on Sunday. Michael has worked with the marketing department for the World Meeting of Families for the past year, two days a week. He has really enjoyed his time which will be coming to an end with the team at the end of September,” said his sister, Jenny. Michael was also a speaker at the World Meeting of Families on the panel discussing families and parish: Supporting Families with Special Needs. “He has a deep faith and believes that if people followed Jesus' message to love one another the world would be a much better place. He carried the cross and also had the privilege of meeting Pope Francis in the sacristy after mass with a number of the World Meeting of Families Team. He was given a beautiful memorial medal by the Pope,” she added. This is the second time Michael has been lucky enough to meet Pope Francis. “When he was completing an inclusive learning initiative in Maynooth in 2014, he did an internship with Vatican Radio, in Rome and had an audience with Pope Francis,” explained Jenny. Michael is a past pupil of the Patrician Secondary school and Scoil Mhuire Junior and Senior Schools.